A couple of weeks ago I started trying to trace Gustave Rosenzweig’s story and the story of his children by searching for census reports and other documents on ancestry.com and familysearch and other websites. 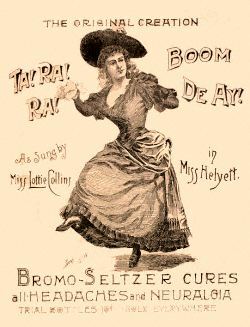 Gustave and Gussie had ten children, and they all had names that were apparently very common back then: Lillian, Sarah, David, Abraham, Rebecca, Jacob, Joseph, Lizzie, Rachel and Harry (not necessarily in that order). When I came down with the flu around the same time that I started trying to sort all those children out, I decided that I needed to wait until I felt better. Names, numbers, census reports, and vital records were all floating before my fevered eyes, and I was unable to focus at all. So yesterday and last night, finally back to full strength, I decided to try again. No fever, no chills, but nevertheless names, numbers, census reports, and vital records were still circling around and making me dizzy. I decided to take one child at a time and not get distracted by the other children. I had previously accumulated a fair amount of information about Abraham and thought I would start there. I thought I had found a census report for Abraham for almost every year that there was one: 1900, 1905, 1910, 1925, 1930 and 1940. I was only missing 1920. I also thought I had found Abraham’s wife and children and ordered his marriage certificate a few weeks back. But given that I had accumulated a lot of this without yet going through it very thoroughly, I knew I needed to go back and be more careful. The 1900 and 1905 census reports were easy. Abraham was living with his parents and his siblings, making it easy to be sure I had the correct reports. Both indicated that he was born in 1890. So far so good. As I turned to the 1910 census, things became a little less clear as there was no census that had Abraham living with Gustave, Gussie and his siblings. There were two possibilities. One Abraham was living with his mother Gussie, who had been born in Romania, so that looked promising. But this Abraham had only two siblings, Joseph and Isaac, and this Abraham was born in 1894 and was younger than his two brothers. His mother owned a candy store in Brooklyn. It certainly could be that the census had errors; that happens all the time. But I wasn’t sure. The other Abraham on the 1910 census who was a possibility was the right age and also had Romanian parents, but he was in the Navy, so I had no way of knowing his parents’ names. I saved both census reports as possibilities. I turned to 1915. There were THIRTEEN Abraham Rosenzweigs listed on this New York State census. I checked every single one of them, listing the facts, dates, occupations, places of birth, relatives’ names, and then narrowed it down to two real possibilities, the same two. The younger Abraham, born in 1894, was living alone with his mother Gussie and working as a grocery clerk; the older Abraham was living with his mother Gussie and all the correct siblings and was a sailor. It seemed obvious that the older Abraham, the sailor, was the correct one, meaning the correct Abraham in 1910 had been the one in the Navy, not the one living with Gussie. Although that was very time-consuming, I felt like I had confirmed that the data I had previously collected was correct. I moved on to 1920. Now there were only (!) nine Abraham Rosenzweigs who fit within the appropriate age range and were born in New York City. Again, I sifted through each census report and started finding some repeating Abrahams—the one working as a naval clerk, married to Lena but of Russian background, the railway mail clerk married to Tessie, but of Austrian background, a few who were too young, one who was in prison but had American born parents, one who was a motion picture operator, and two who lived too far away and were too young. The one who seemed most likely was born in 1890, of Romanian parentage, and was married to a Rebecca and had two sons, Maxwell (3) and Irving (1). They lived in Brooklyn, where he worked as a bread salesman. But I had no way of linking him to Gustave and the right Gussie. I searched for a certificate for a marriage between an Abraham Rosenzweig and a Rebecca, but could not find one. I moved on to 1925. Now there were eleven Abraham Rosenzweigs. I was starting to get a bit punchy, but labored on, wanting to do this before I lost track of my findings and my thoughts. 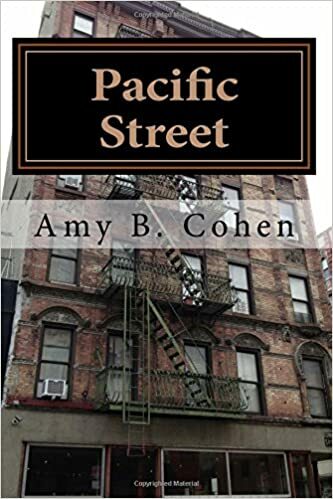 Once again I saw some familiar faces—Lena and Abraham the naval clerk, Tessie and Abraham the railway mail clerk—and some new faces that did not fit. After another long stretch staring at each census report, I narrowed it down again to two: the Abraham living with his mother Gussie and the Abraham married to Rebecca, living in Brooklyn with their two children and employed as a driver. I then did the same thing with the six Abrahams listed in 1930 and in 1940. In my earlier search I had somehow assumed that the Abraham living with his mother Gussie in 1925, 1930 and 1940 was the right Abraham because I had not seen that there were two Gussie Rosenzweigs with sons named Abraham. Thus, I had added information to my tree for the wrong Abraham, including what I now believe were the wrong wife and children since this Abraham had married in 1932 a woman named Lee and had two daughters. I had been confused at the time also by the conflicting World War I draft registration forms I’d found. I had thought Abraham was still single in 1917 since I’d thought he hadn’t married until 1932, and so I had eliminated any draft registration for a married man. As a result I had selected an Abraham who also had had no prior military service. Although I knew that conflicted with the 1910 and 1915 census reports that showed that my Abraham had been in the Navy, I could not then figure out where I had gone wrong. Yesterday I realized my mistake, found what I think is the correct draft registration, and have to go back and correct my tree and look for records that will reveal if the Abraham who married Rebecca is in fact the right Abraham. As usual, there remain more questions. If our Abraham was not living with his mother Gussie in 1925, 1930 and 1940, where was she? Had she died? Where was Gustave in 1915? The children were living only with Gussie, and I cannot find another census that includes Gustave. There also remains the question of why the 1920 census shows the other children living with Gustave, not Gussie, and yet there is another Gustave who is a painter from Romania listed elsewhere living as a boarder in 1920. I can’t find a marriage certificate for Gustave for his second marriage. And I’ve only done one of the ten children. There are also multiple Josephs, Jacobs, Sarahs, Rachels, Lillians, and so on. It will take a while to resolve all this, but in the end, perhaps I will have a fuller picture of Gustave’s family and his life and even more cousins with whom to share the story of our family. 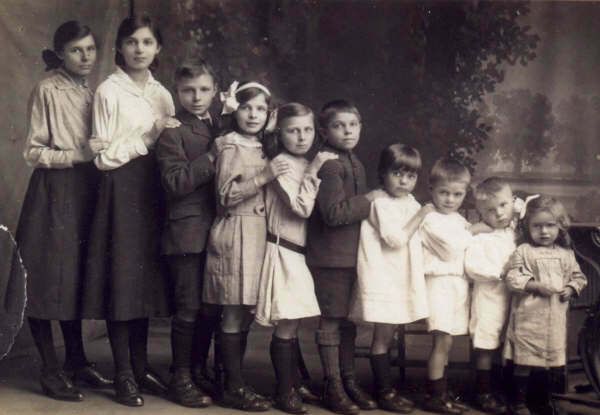 This is not Gustave’s family, but it gives a sense of what ten children in a family looks like. This entry was posted in Genealogy, Miscellaneous information and updates, Rosenzweigs and tagged Abraham Rosenzweig, ancestry.com, Brooklyn, Family, genealogy, Gustave Rosenzweig, Romania, vital records by Amy. Bookmark the permalink.